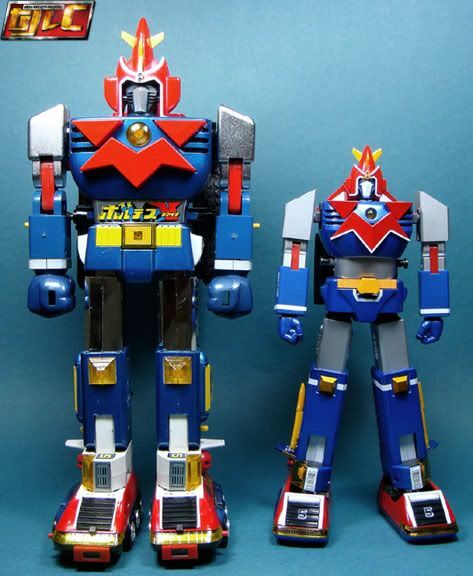 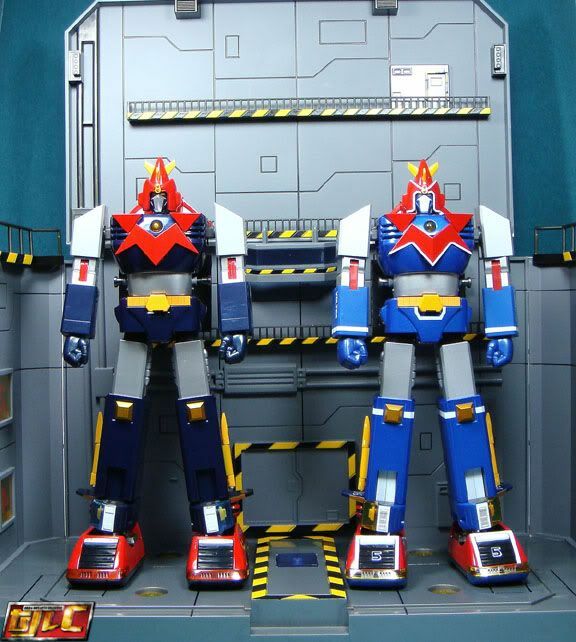 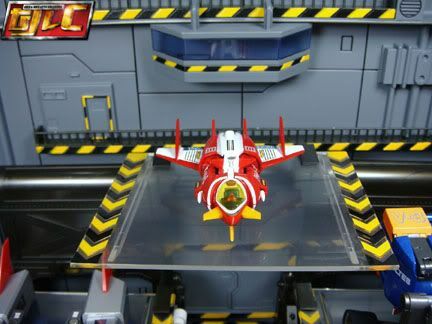 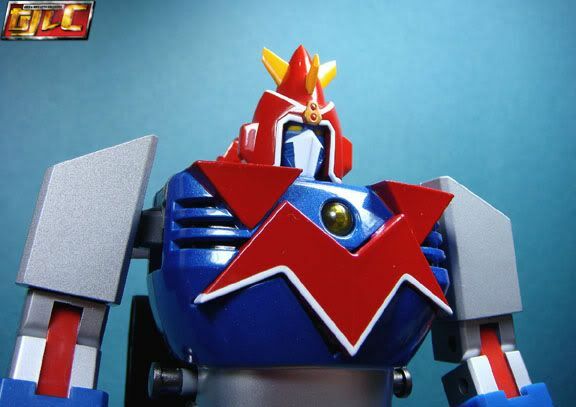 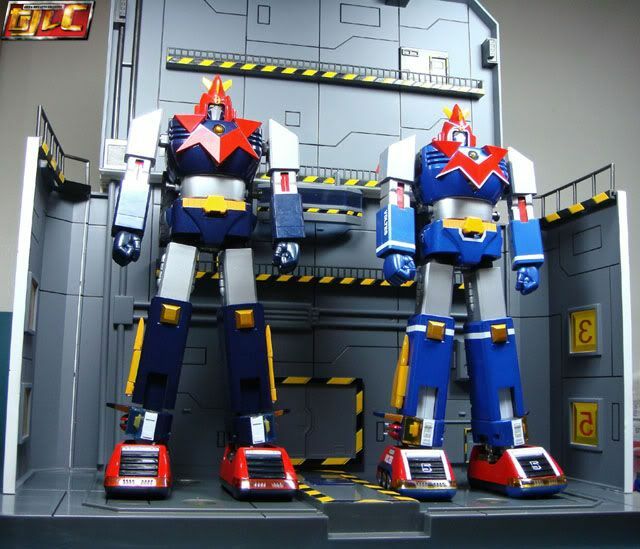 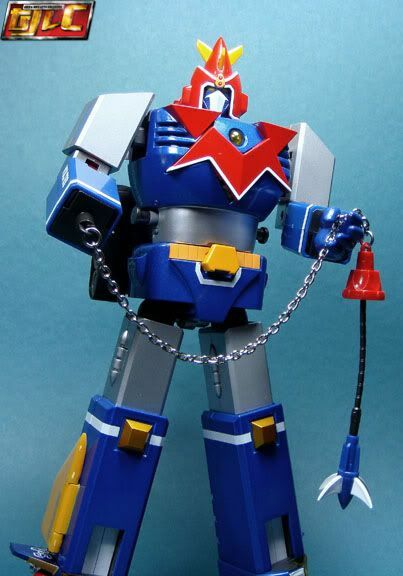 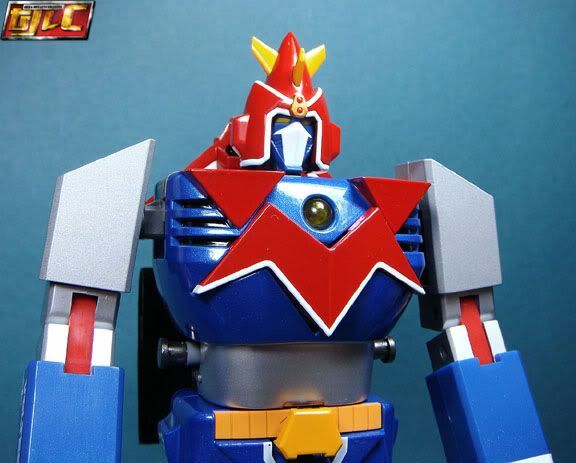 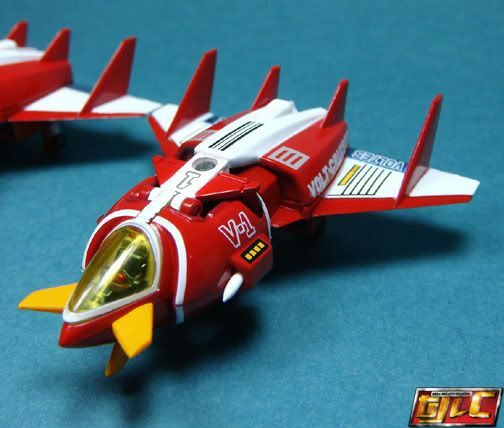 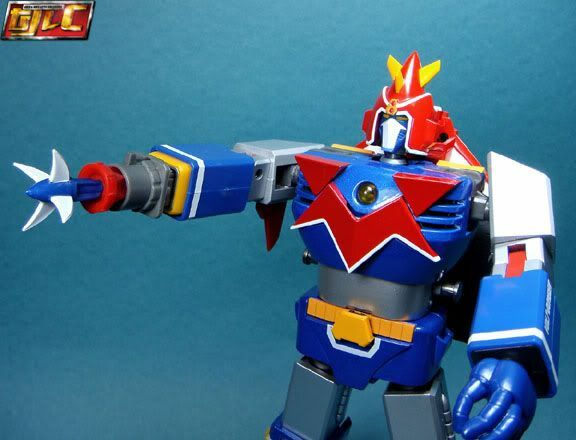 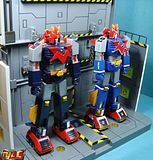 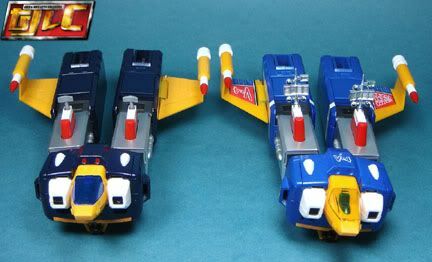 At long last, here's my review for the Gx-31V "Respect for Popy" variation Voltes V.
Please click on the smaller images (thumbnails) to view the larger pics. 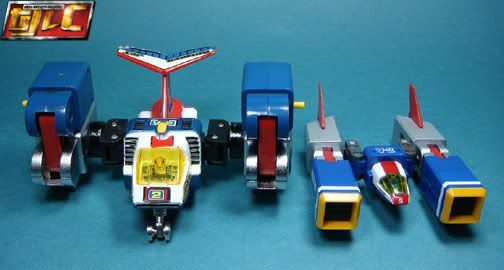 Likewise, please click on the video images to begin video playback. 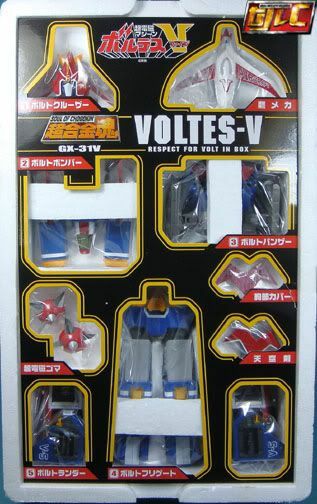 As previously revealed, there's an alternate box "front" on the back (to coincide with the Japanese "Volt in Box") look. 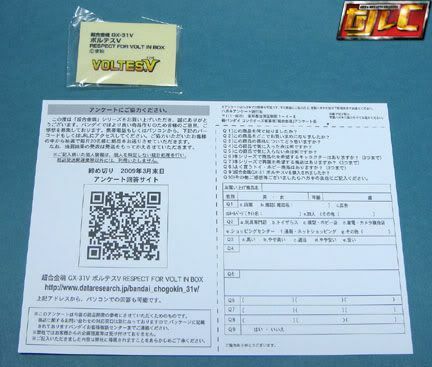 Strange but even though mine is the Asia version, it still came with the Japanese questionaire. 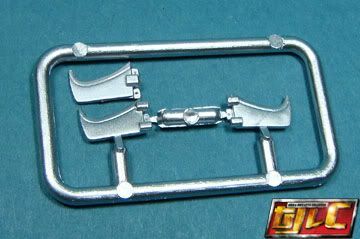 Darker shade of gray for the wrist connectors (Gx31V on the right). 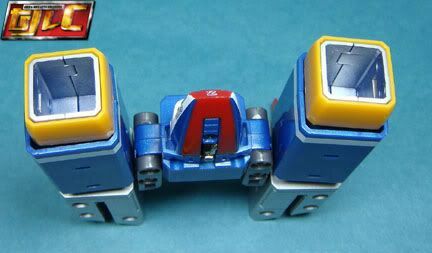 The following videos were fansubbed in English by a Filipino. 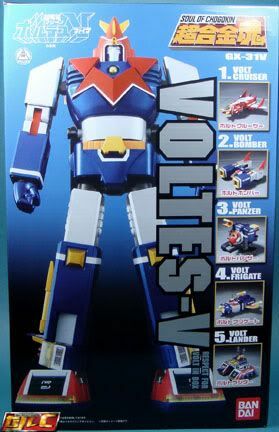 Sadly, his hard work has been plagerized by local pirates and Anime shops (you can find the complete English-subbed Voltes Anime almost anywhere now). 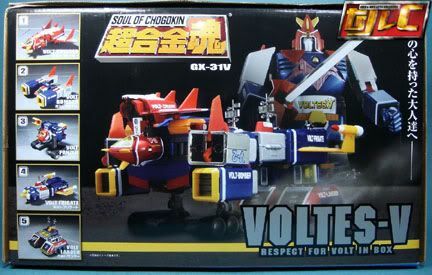 If anyone has any idea who the original subtitler was please drop me a line so I can properly acknowledge him (or her). 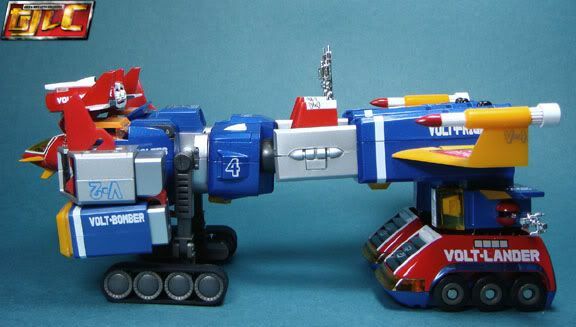 A great gimmick was added here, the Bazooka fires when you pull back on Voltes' hand (the hand is the trigger). 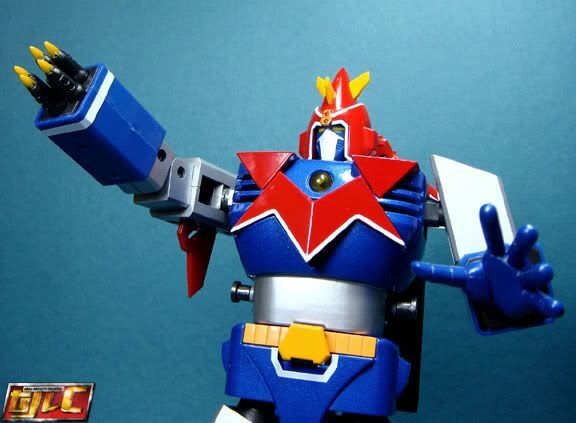 The entire Voltes Bazooka is now removable from the forearm. 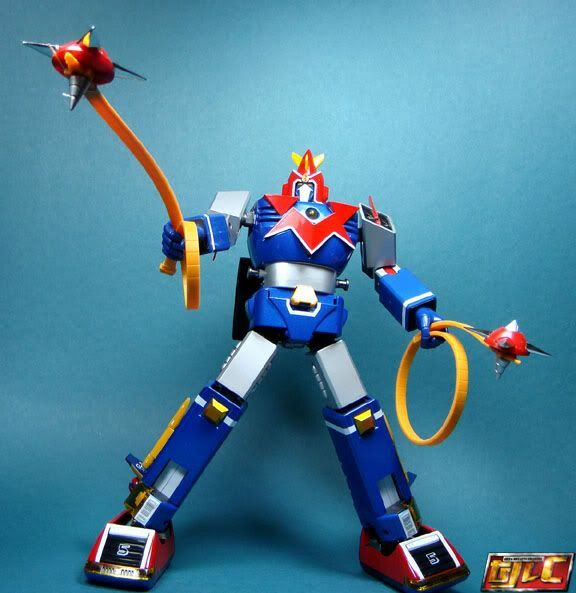 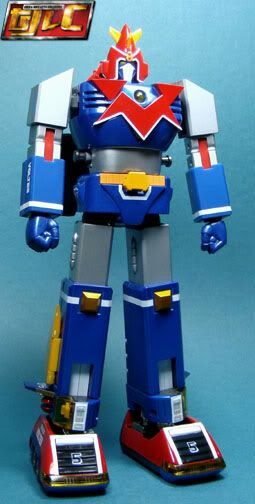 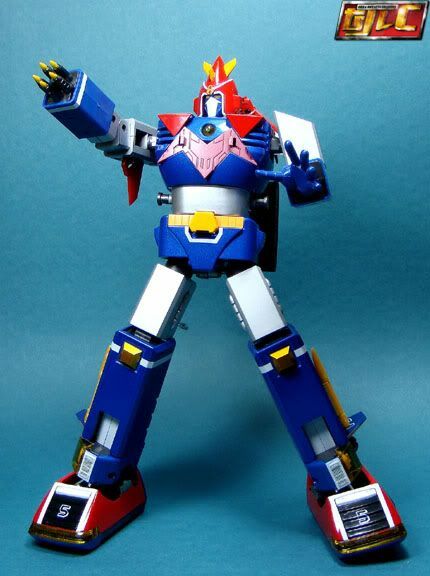 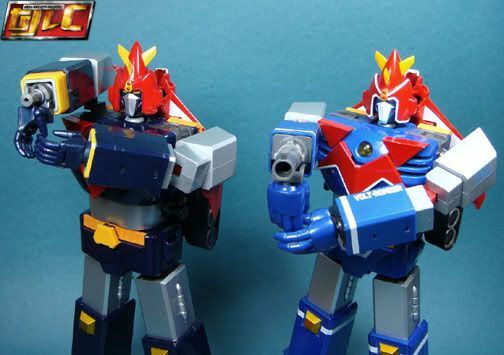 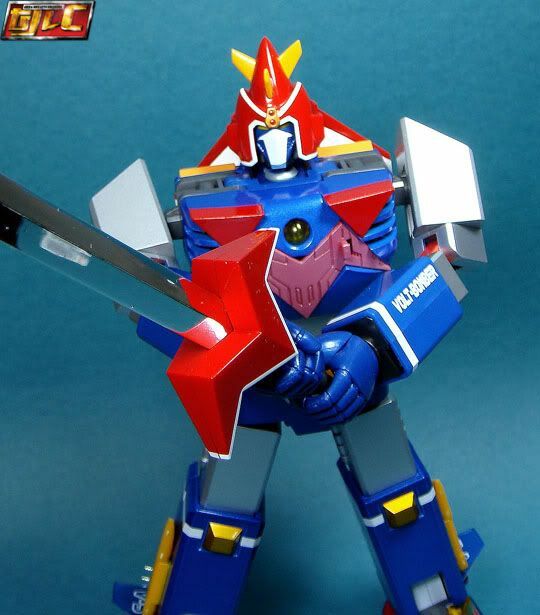 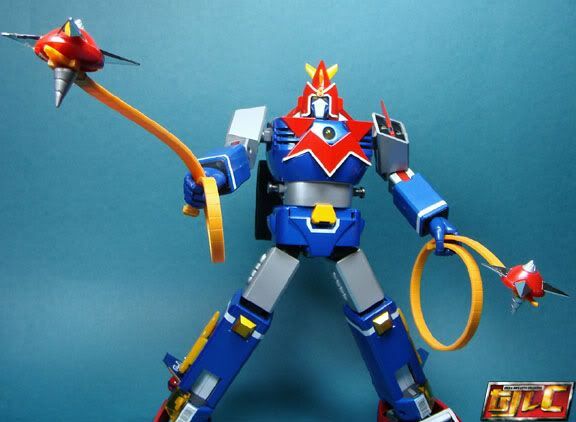 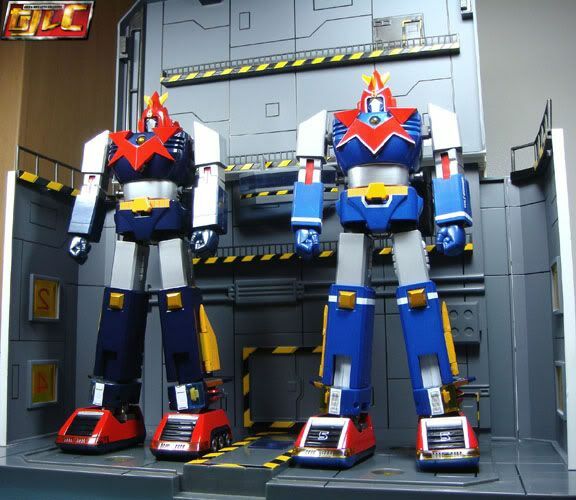 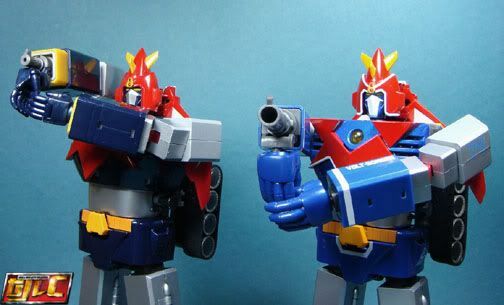 I really wished they added extra groin articulation to make Voltes do the Voltes Bazooka pose right. 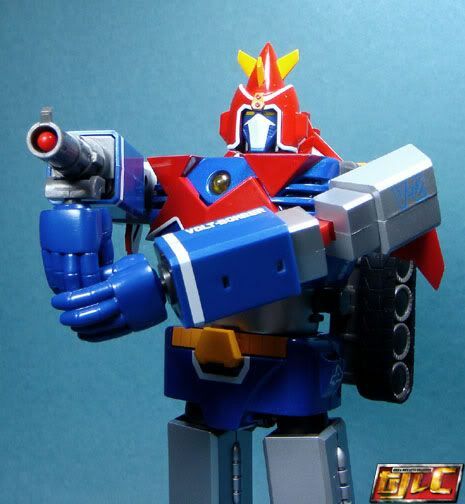 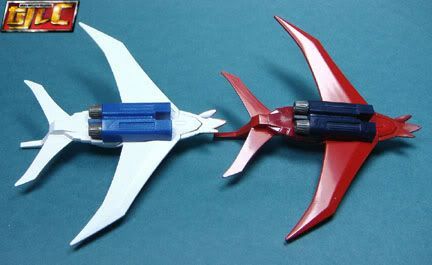 It's a big improvement over the Gx31 Voltes Bazooka, that one looked really painful for Voltes. 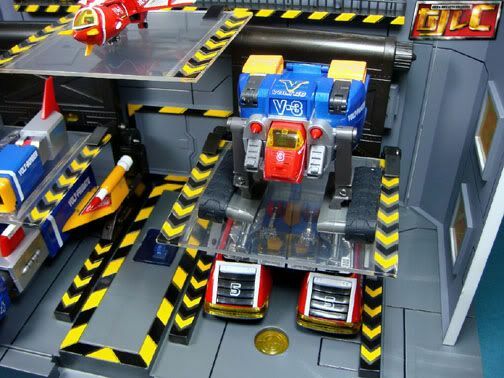 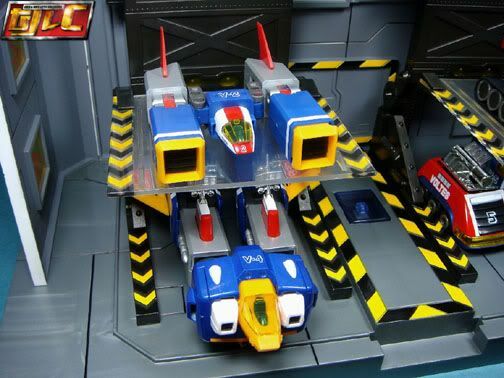 It's a big improvement over the Gx31 (even though this mode never appeared in the show). 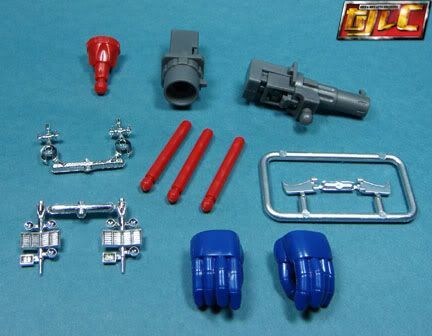 The "default", articulated hands are no longer included. 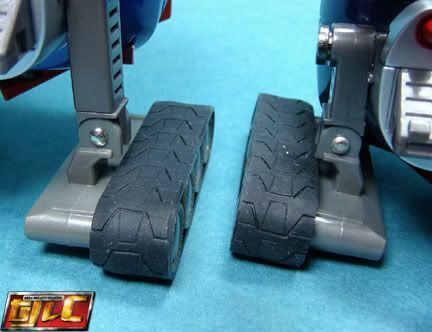 The gap between the Panzer treads on the back is the same (remember seeing earlier shots making it seem the gap is larger than it is now). 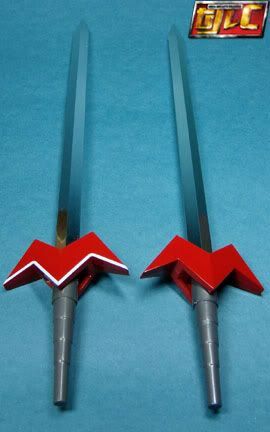 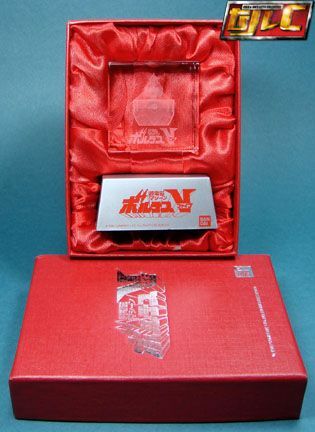 The Hong Kong item. 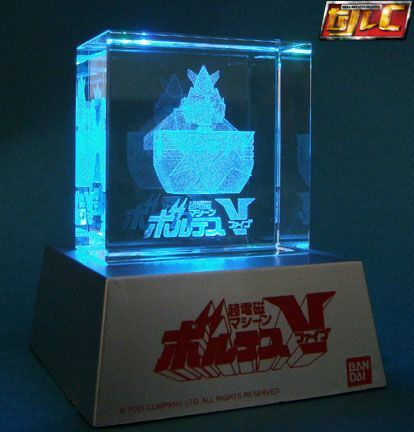 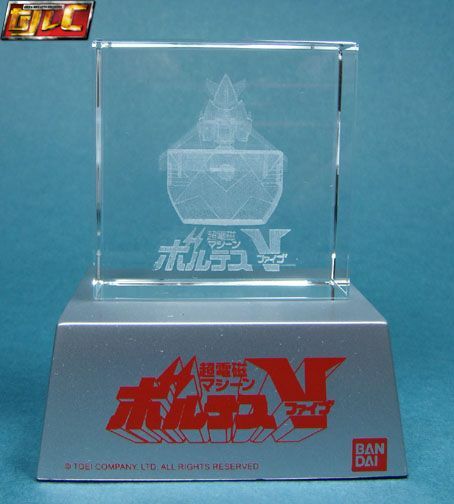 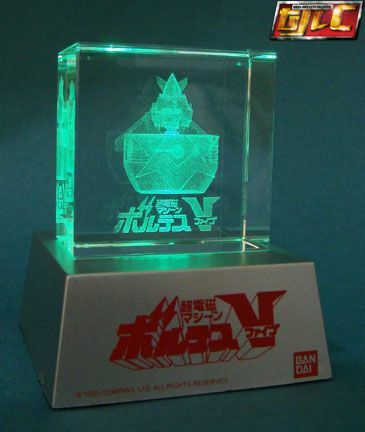 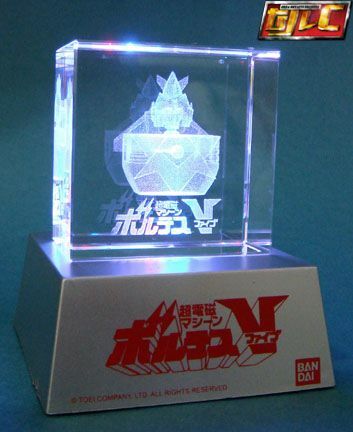 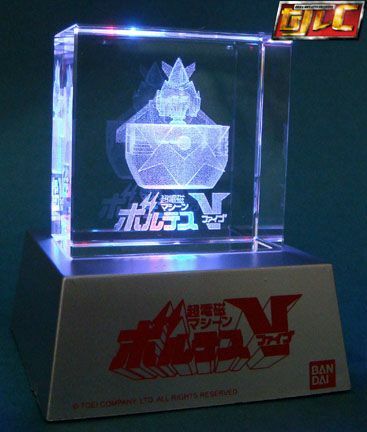 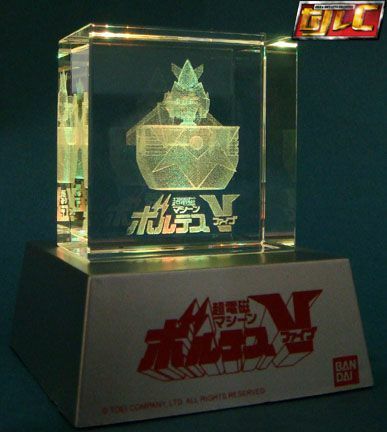 A crystal cube with light up LED display base (similar to the one from the SOC Gx41S Reideen). 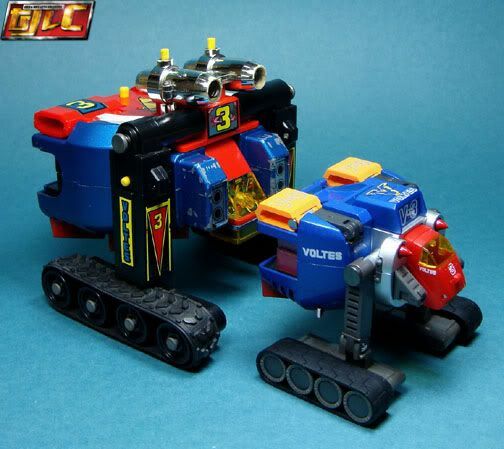 A big thank you to Gasha over at the PTK forums for helping me get this one. 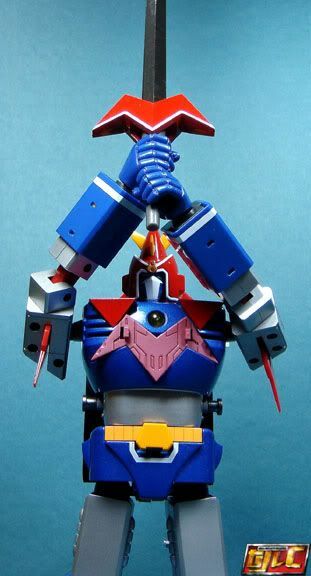 I owe you, man! 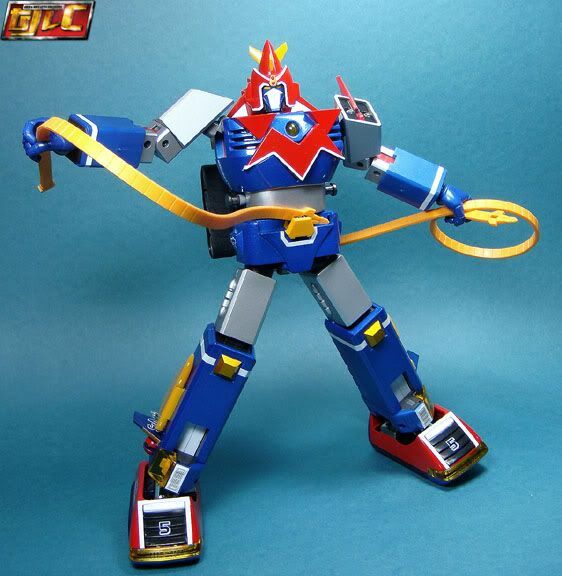 -Improved joints all around (particularly the ankles). 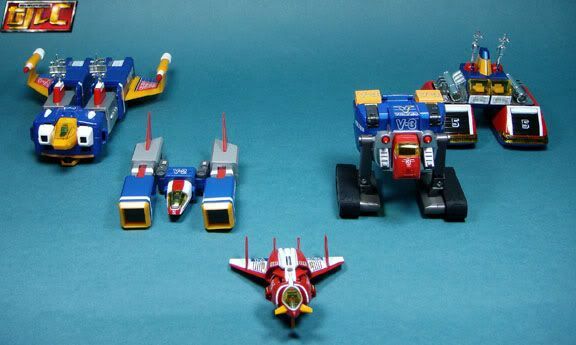 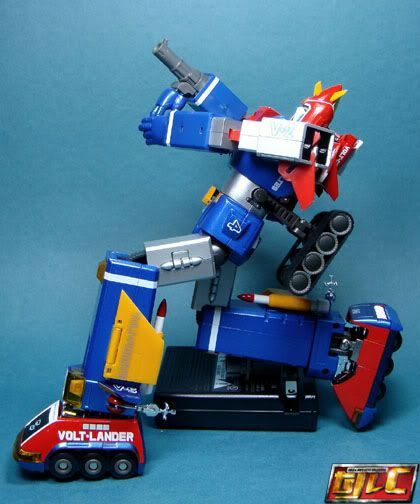 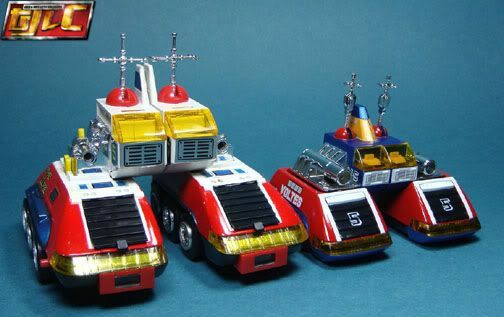 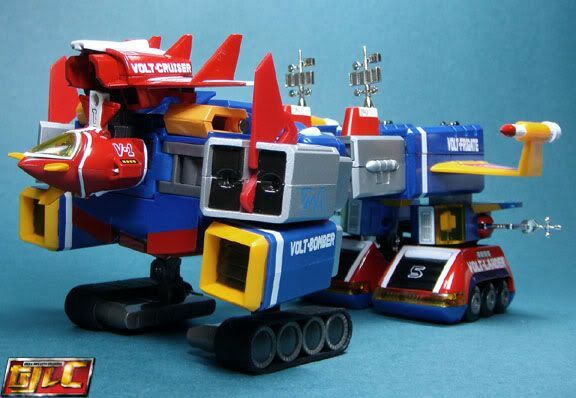 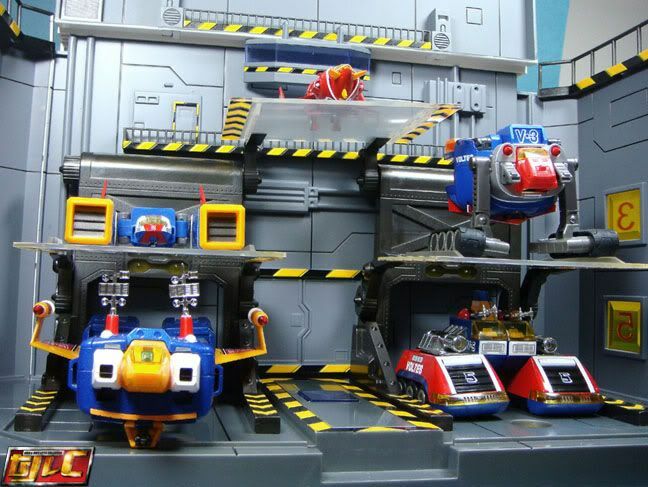 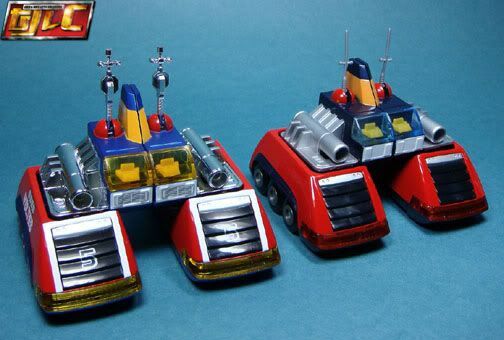 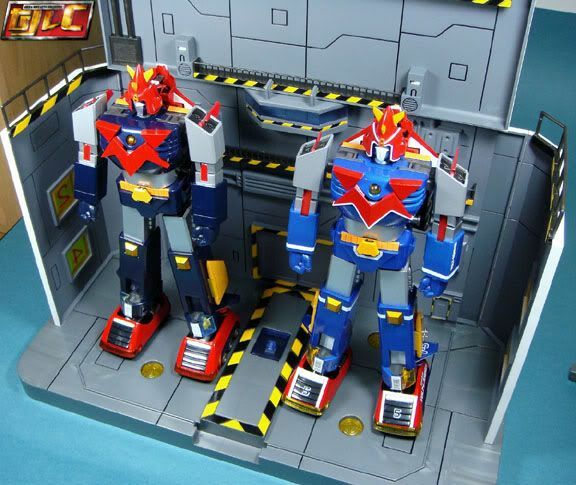 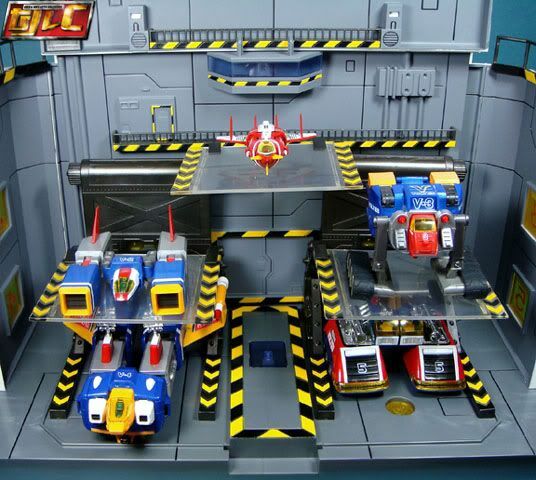 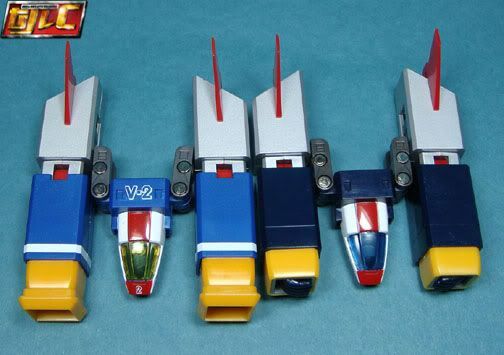 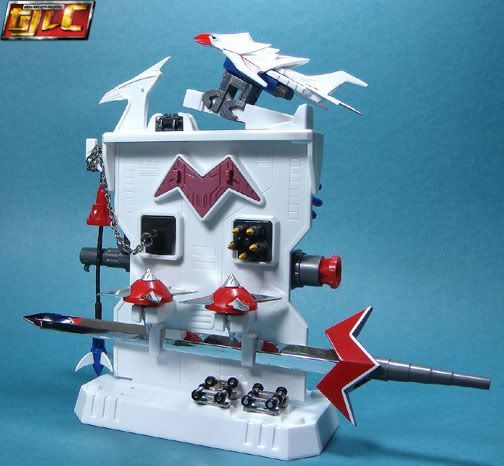 Voltes doesn't wobble anymore. 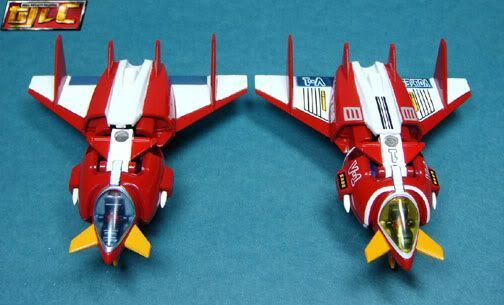 -Not much paint problems, if any (compared to the Gx31). 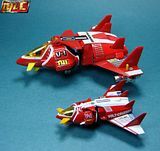 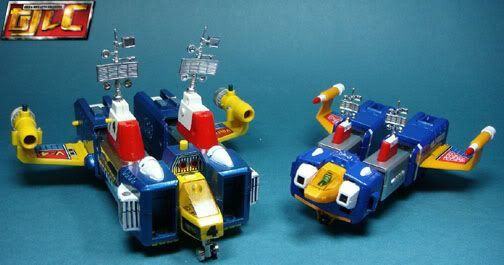 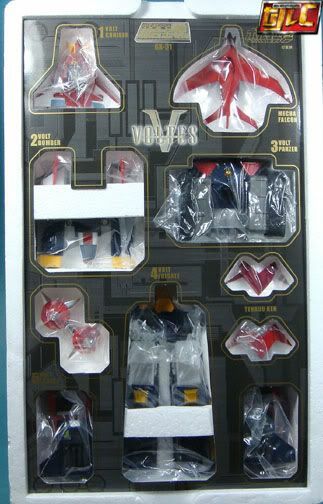 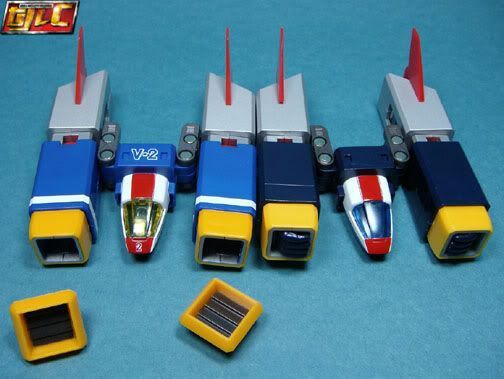 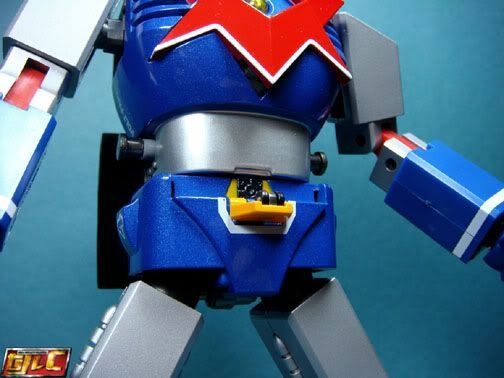 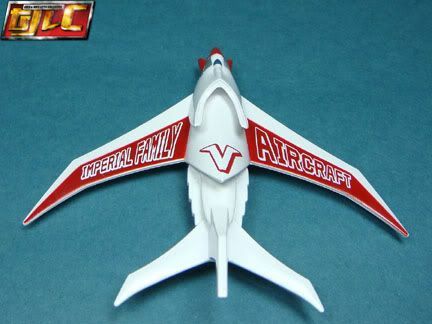 -Optional "Voltes V" belly sticker. 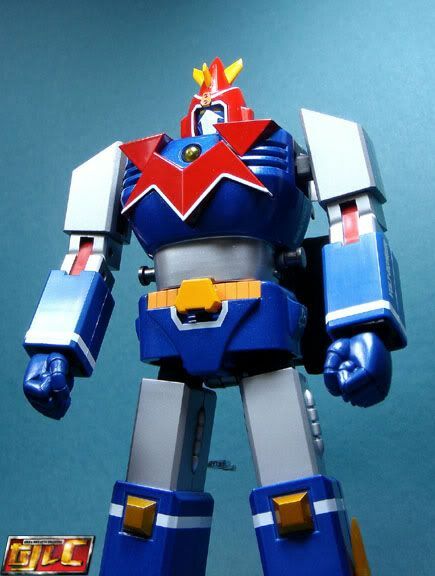 -No chrome on the shoulders, abs and thighs... 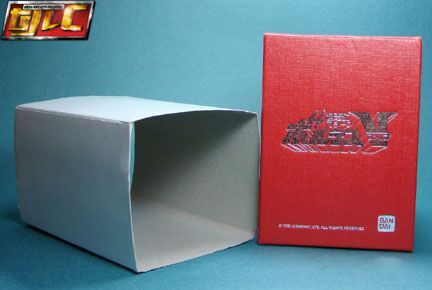 I was really looking forward to this. 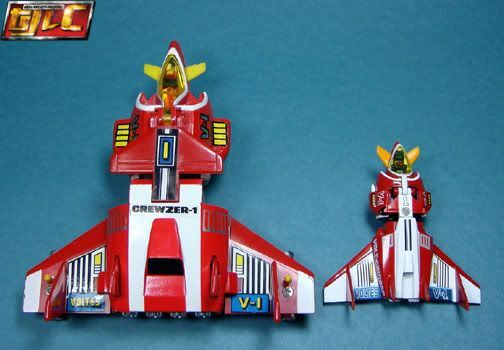 - I don't know if it's just my unit but the Crewzer tends to dislodge easier compared the Gx31 version. 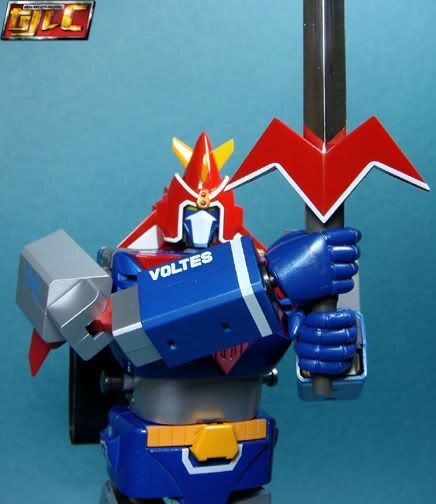 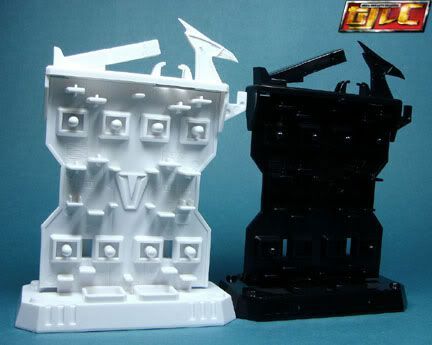 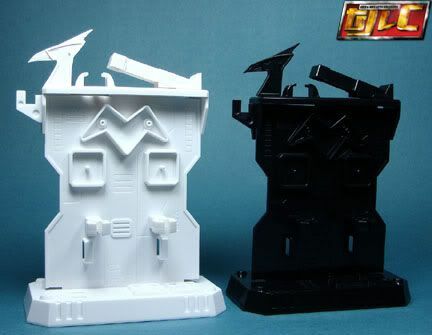 -Hand base tends to come off Voltes' "cuffs" easier than the Gx31 (not really a bad thing though). 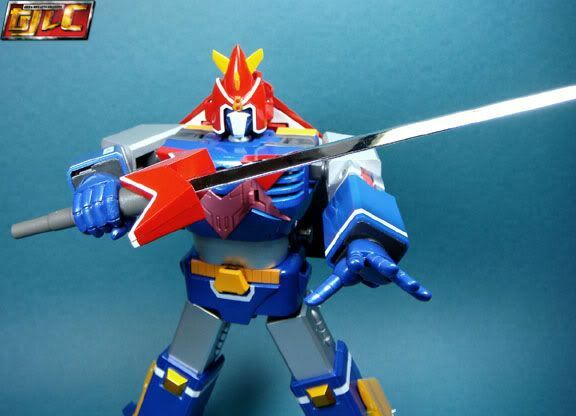 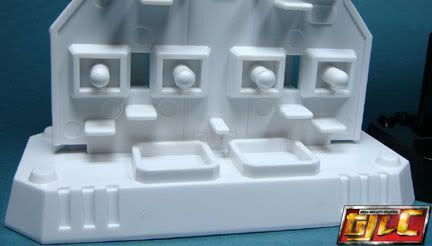 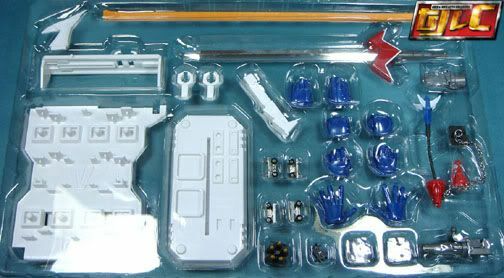 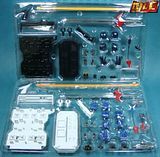 Well, nothing really terrible about the toy (other than Bandai taking cost cutting measures and not giving us the chromed abs, shoulders and thighs as seen on the prototype pics). 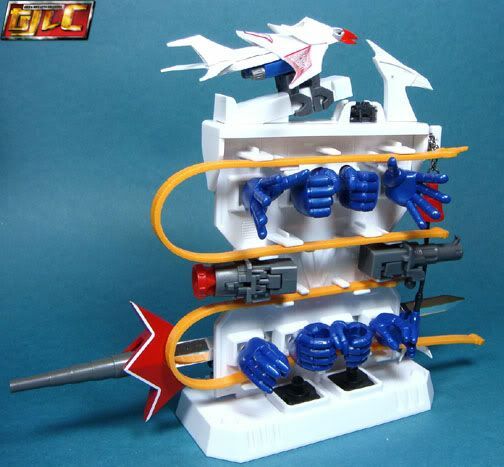 An extra display base would've been nice. 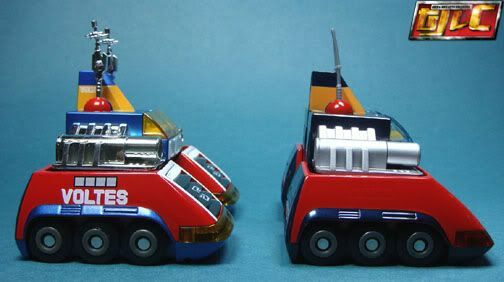 The joints have been much improved and somehow the detailing added much character to the toy compared to the Gx31 (I was half-expecting the extra "numbering" decals to make the toy seem cheesey, suprisingly it didn't). 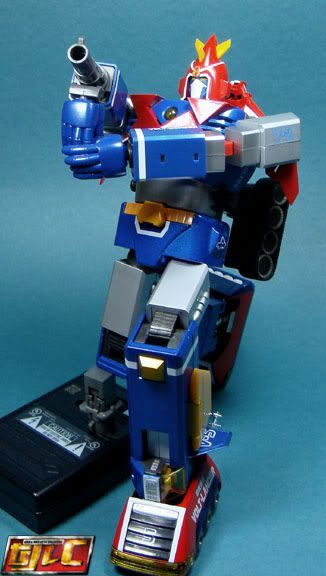 The shade of blue is very eye catching on any shelf. 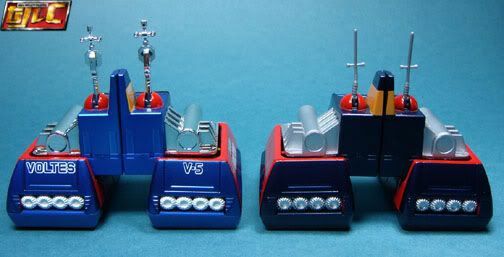 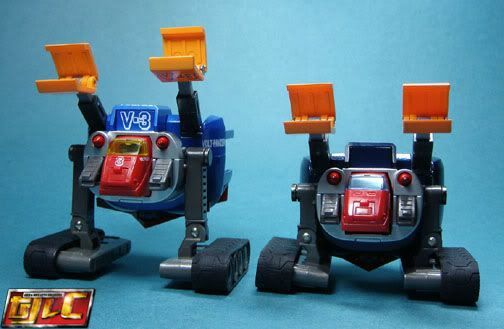 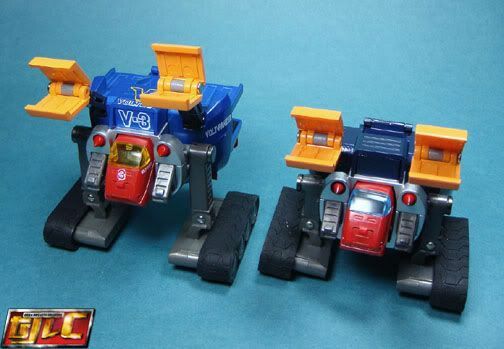 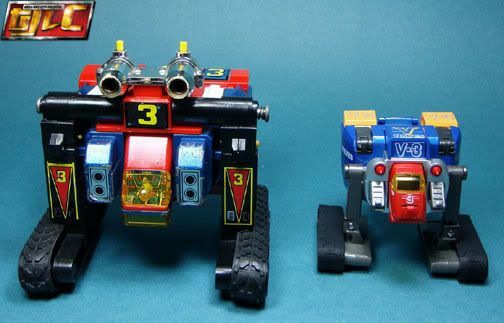 The Panzer having long legs might bother some who like to display Voltes "Volted-out" but in robot mode, the long Panzer legs don't really stick out that much. 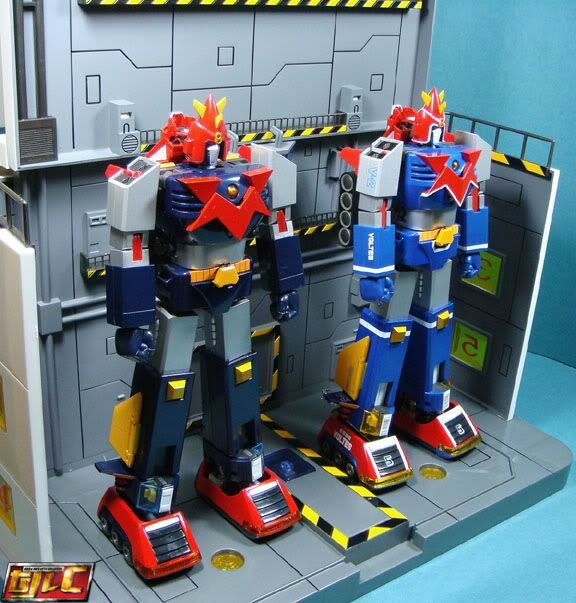 Looking at the toy per se, it's definitely superior to the Gx31, due to the added extras and improved joints. 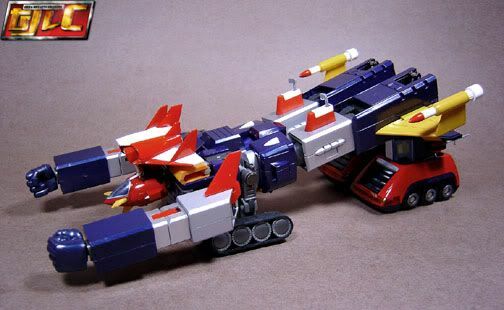 Personally, however, if I had to choose between this or the Gx31, I think I'd still go for the Gx31. 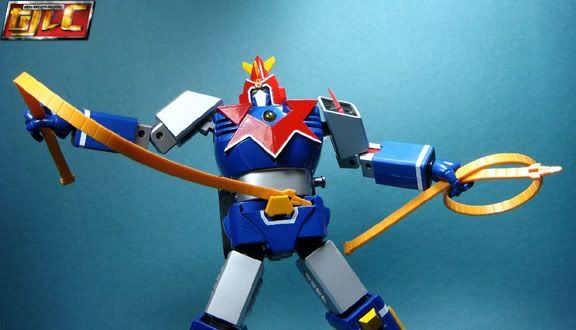 I'm an "Anime accuracy comes first" kind of guy, . 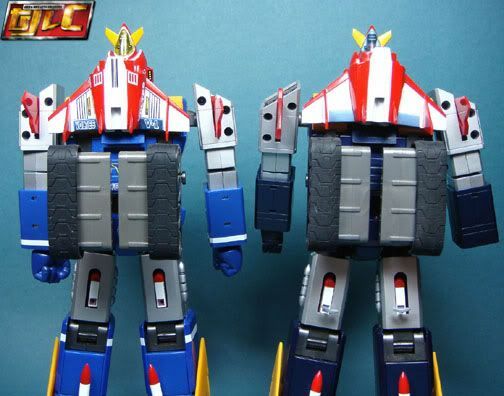 The white panel lines really took out a lot of the "Anime accuracy" effect (but that's just me).